Before you proceed below, please watch this video created by Sass Rogando Sasot. I've watched the confirmation hearing of Gina Lopez. And here's the deal. The problem with the mining industry is that they are losing on the game of persuasion. The mining sector has not presented a moving and compelling case for what they are doing. Their arguments are dry, relying so much on cold figures of how much could be earned from their operation, their arguments have no sense of humanity in them. But Gina Lopez is passionate, she presented her case with the force of authenticity, necessity, and most of all URGENCY. When Gina speaks, one can feel one's heart beating. That woman was appointed because it's time to shake up our complacency. 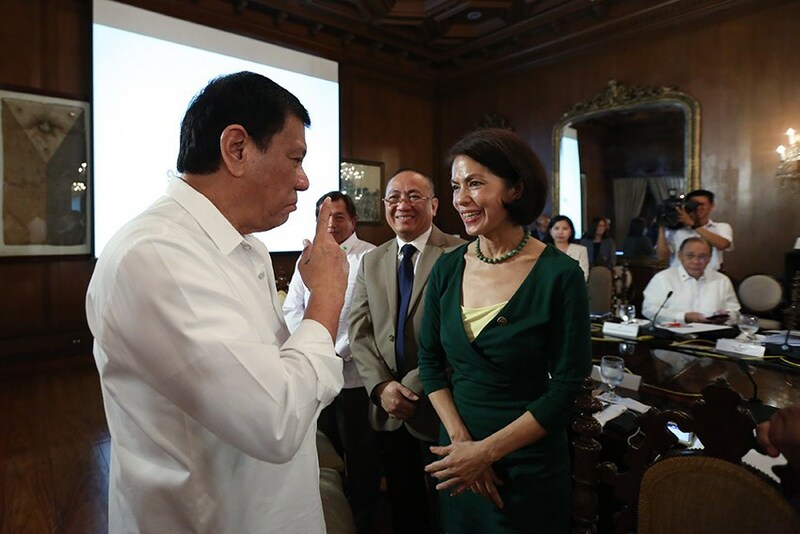 Gina Lopez confirmation presentation wasn't about her but about the potential of our country. Gina presented a VERY COMPELLING NATIONAL VISION that combines arguments based on beauty and utility that no mining company nor their supporters have ever done so far. If warranted, amend, suspend or revoke (mining) permits. Go ahead!